Recommend A…Book With a Blue Cover! 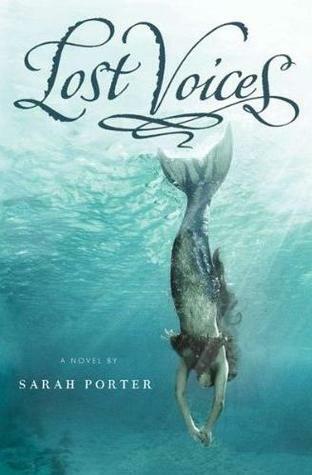 My choice this week is Lost Voices by Sarah Porter! This novel is a new twist on a somewhat warped coming of age story. Luce begins finding herself after a traumatic event spirals her into what she believes is a point of no return. A refreshing difference in this novel is that there is no romantic relationship; it is not a story that centers on a romance. Instead, the relationships are between the girls in the mermaid tribe and many characters are fleshed out enough that you learn to appreciate their individual characteristics. Sarah Porter’s debut novel is the first in a very promising new series; the sequel, Waking Storms was published on July 3, 2012. See my review of Lost Voices, here. This entry was posted in Recommend A and tagged mermaids. Bookmark the permalink.